Good nutrition starts with balance. We craft each recipe using nature’s best ingredients to provide just the right amount of protein, nutrients and energy, giving your dog everything they need for a healthy, happy life. 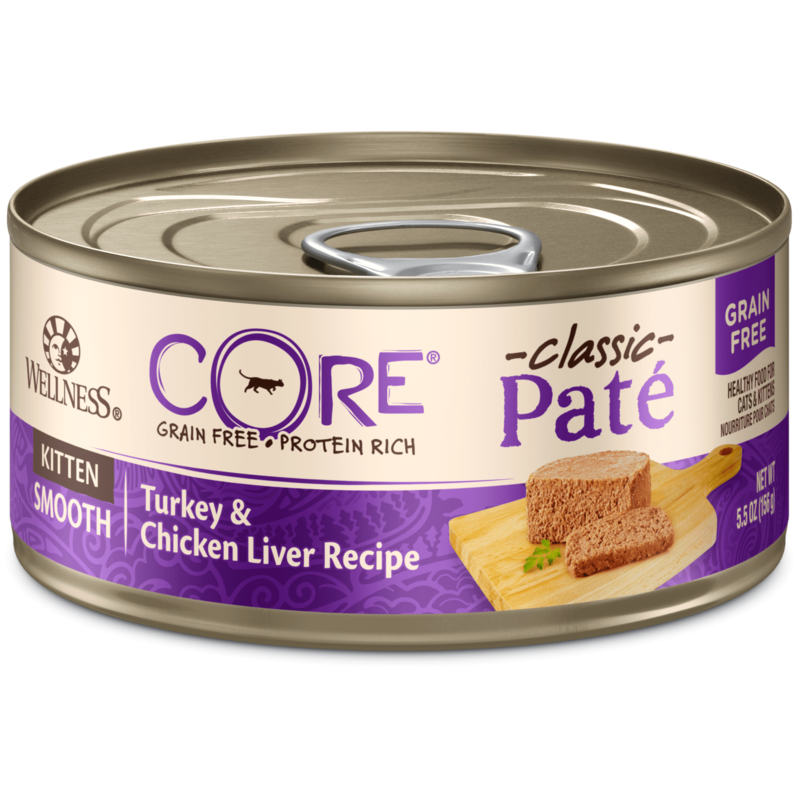 The right amount of protein, fat and carbohydrates to help a kitten grow. Producing the Finest Natural Food. Making superior natural pet food is a combination of selecting only the finest quality ingredients and combining them with the highest level of care and commitment within our company owned manufacturing facility. Chicken Meal, Oatmeal, Peas, Chicken Fat (preserved with Mixed Tocopherols), Brewers Dried Yeast, Barley, Dried Tomato Pomace, Natural Chicken Flavor, Flaxseed, Salt, Potassium Chloride, Taurine, Choline Chloride, Cranberries, Vitamin E Supplement, Zinc Proteinate, Mixed Tocopherols added to preserve freshness, Zinc Sulfate, Calcium Carbonate, Niacin, Ferrous Sulfate, Iron Proteinate, Vitamin A Supplement, Inulin, Ascorbic Acid (Vitamin C), Copper Sulfate, Thiamine Mononitrate, Copper Proteinate, Manganese Proteinate, Manganese Sulfate, d-Calcium Pantothenate, Sodium Selenite, Dried Enterococcus Faecium Fermentation Product, Pyridoxine Hydrochloride, Riboflavin, Biotin, Vitamin D3 Supplement, Calcium Iodate, Vitamin B12 Supplement, Folic Acid, Dried Bacillus licheniformis Fermentation Product, Dried Bacillus subtilis Fermentation Product, Dried Aspergillus oryzae Fermentation Product, Dried Trichoderma reesei Fermentation Product, Dried Rhizopus oryzae Fermentation Product, Dried Lactobacillus acidophilus Fermentation Product, Dried Lactobacillus casei Fermentation Product, Rosemary Extract, Green Tea Extract, Spearmint Extract. As kittens grow up they need to learn when, where and how to eat. Depending on age, kittens need to be fed at the same time and in the same place 2-4 times per day. Food should be removed after 20 minutes, if not eaten. In the beginning, kitten’s food can be moistened with a little warm water. Keep a clean bowl of fresh water available at all times. Wellness believes in feeding dry and wet food in combination, whenever possible, to help increase the level of water in your kitten’s diet. Nutrition is only one part of the equation! Be sure to give your kitten plenty of love, plenty of exercise and see your veterinarian regularly to help ensure total wellbeing. 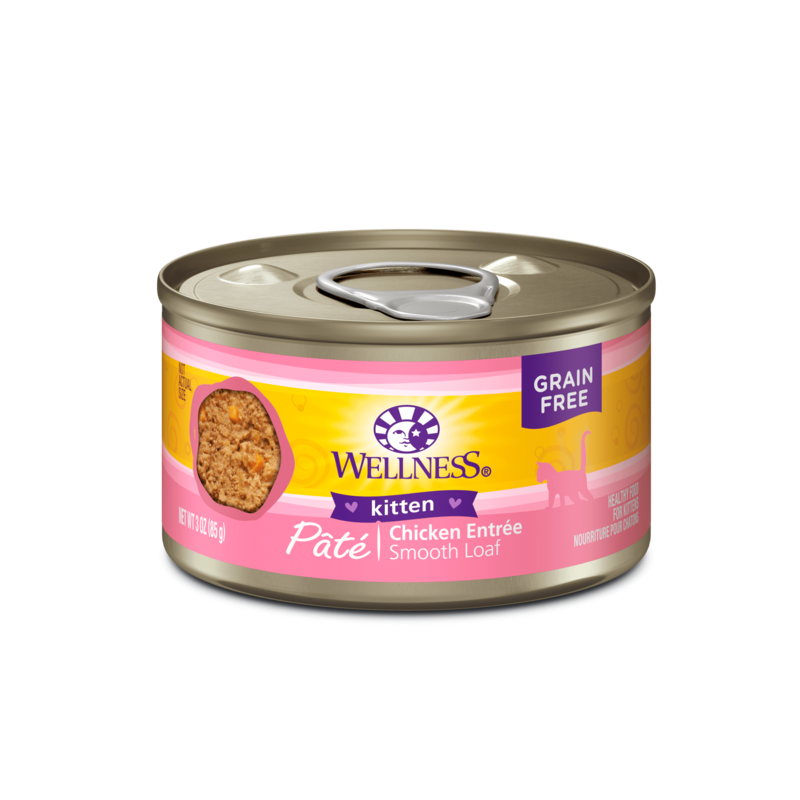 Standard measuring cup holds approximately 4.4 oz (126g) of Wellness Healthy Balance Kitten Chicken Meal & Peas Recipe Cat Food. Pregnant and Lactating Cats: Allow free access to dry food at all times. Combination Feeding: If feeding Wellness wet food, reduce dry amount by ¼ cup (32g) for every 3 oz (85g) of wet food. Calorie Content (Calculated): This food contains 3,800 kcal/kg or 478 kcal/cup ME (metabolizable energy) on an as fed basis. 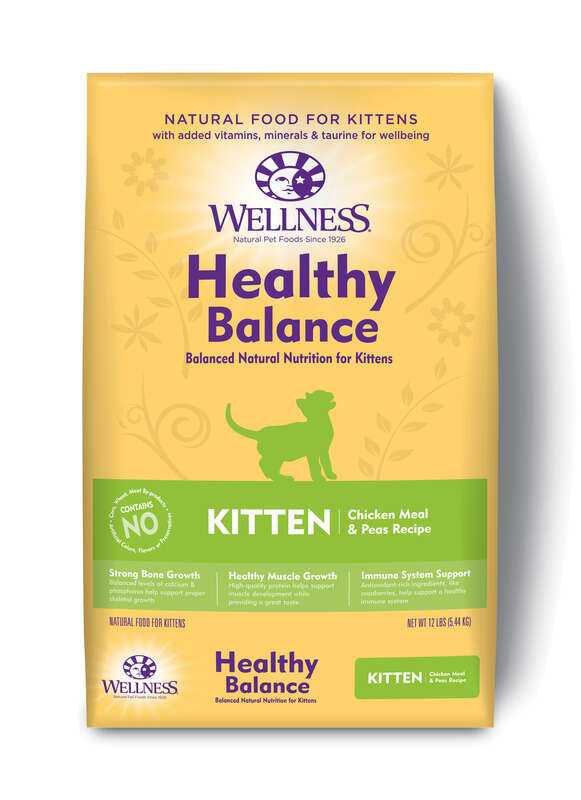 Wellness Healthy Balance Kitten Chicken Meal & Peas Recipe is formulated to meet the nutritional levels established by the AAFCO Cat Food Nutrient Profiles for growth and gestation/lactation.